If the previous six years of the decade were leading up to anything, it was 1957. Previous sci-fi hits like The Thing from Another World (1951), The War of the Worlds (1953) and Invasion of the Body Snatchers (1956) built up so much steam by this time that it all finally exploded. Factoring in drive-in theaters, which were reaching their peak in popularity by 1957 with 4,000+ operating drive-ins across the U.S., there was a sudden need for more and more product churned out as cheaply and as quickly as possible to round out double, and in some cases triple, features. 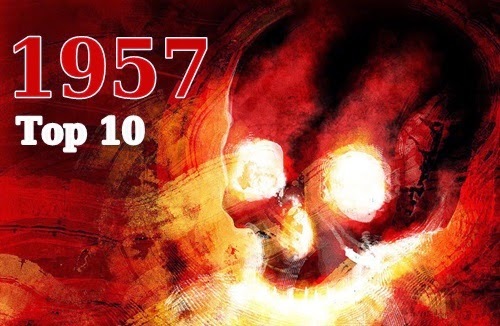 Production companies both big and small started chipping in all manner of genre product to the point where there were nearly as many horror and sci-fi films released this year alone as there were from 1950 to 1956 combined. Yes, combined. Not only that, but there were more horror films produced this year than in any year prior in the history of cinema, so in many ways this was the beginning of a horror movie renaissance of sorts. Of course many of these were just forgettable (and often downright terrible) low-budget films sold by their lurid posters and colorful titles alone, but the year also had a surprising number of gems from around the world. 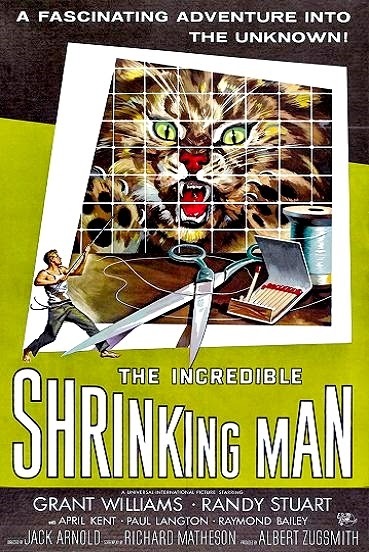 Based on what I've seen thus far, my two favorite genre films of the year are Jack Arnold's extremely entertaining and surprisingly thought-provoking The Incredible Shrinking Man (written by Richard Matheson) and Jacques Tourneur's eerie and brilliant Curse of the Demon (based on the M.R. James story "Casting of the Runes"). I've alternated back and forth as to which one is most deserving of the #1 spot and decided they were both equally worthy and then finally decided to break the tie and give Demon the upper hand because it's more "pure" horror than Shrinking (which leans more toward sci-fi / fantasy). 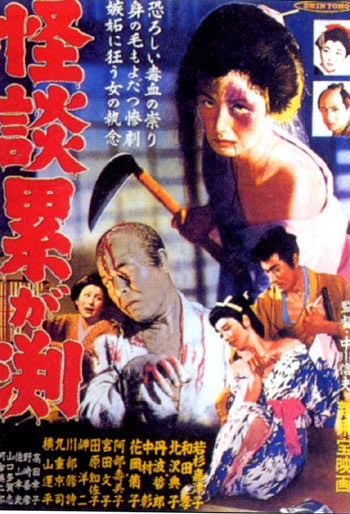 Snapping at both of their heels is the great The Ghost of Kasane Swamp from director Nobuo Nakagawa; another smart and extremely well-tailored film in the kaidan tradition established by the 1953 classic Ugetsu. The company behind Kasane - Shintoho - also released the bizarre Kaidan Honsho nanafushigi ("Ghost Story of the Seven Wonders of Honsho") and Yojaso no maou, which has some cool-looking pig-snouted monster on the poster but is impossible to find. Not to be outdone, rival studios Toei (with Kaidan Banchô sara-yashiki = "Ghost in the Well") and Daiei (Kaibyô Yonaki numa = "Ghost Cat of Yonaki Swamp") also had their say in the matter. 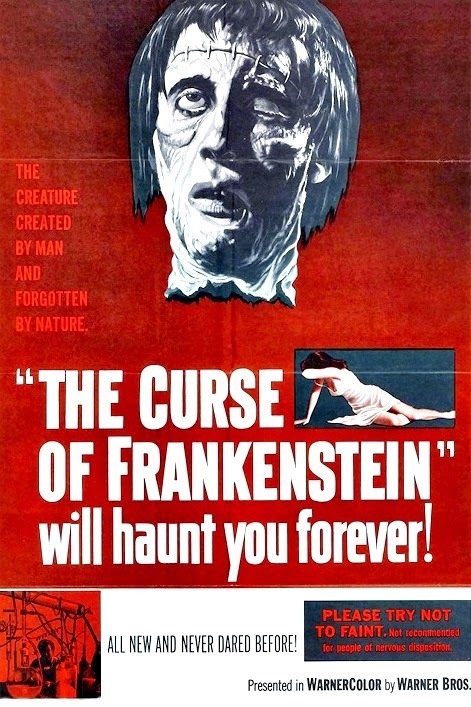 One of the true game-changing events of the year was the release of Hammer's The Curse of Frankenstein, which became one of the top international hits of 1957. The film not only altered the reputation (and later output) of the studio itself, but also gave the horror genre two new actor icons in Christopher Lee and Peter Cushing and ushered in a revival of old school Gothic horror films... with the added attractions of color photography, cleavage and blood. 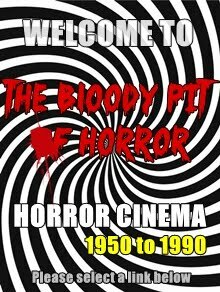 Dozens upon dozens of similarly-styled films followed from Hammer lasting from the late 50s until the mid 70s when much more shocking and graphic films like The Last House on the Left (1972), The Exorcist (1973) and The Texas Chainsaw Massacre (1974) again changed expectations of the genre. 1957 also saw the release of I vampiri, which was later released in the U.S. as The Devil's Commandment. 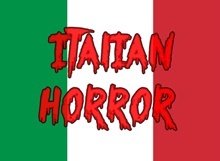 Not only the first Italian horror film of the sound era, I vampiri also marked the (uncredited) directorial debut for Mario Bava (who took over when original director Riccardo Freda reportedly walked off the set) and helped to lay the groundwork for numerous black-and-white Italian Gothic horrors of the early 60s, of which, Bava's Black Sunday (1960) became the film to judge all others by. Running parallel to the Gothic film resurgence in the UK and Italy was one in Mexico. 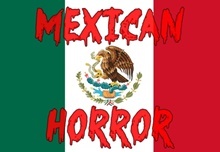 Fernando Méndez's El vampiro ("The Vampire"), starring Germán Robles as the titular romantic bloodsucker, was perhaps the most notable of the lot, though there were other Mexican genre films, like The Aztec Mummy troika, that received decent distribution north-of-the-border, usually hideously dubbed for U.S. TV showings by K. Gordon Murray. Méndez also made Ladrón de cadáveres ("The Body Snatcher"), a sort-of precursor to the later Night of the Bloody Apes (1968), featuring mad science, gorillas, brain transplants and the ever-popular wrestlers. The extremely prolific Chano Urueta was busy mashing up horror with western with his films El jinete sin cabeza ("The Headless Rider"), La marca de Satanás ("The Mark of Satan"), La cabeza de Pancho Villa ("The Head of Pancho Villa") and Secuestro diabolico ("Diabolical Abduction"); which proved to be extremely popular combination in Mexican cinema in the following years. Receiving the most acclaim was Yambaó (aka Cry of the Bewitched) from Alfredo B. Crevenna, a voodoo plot set in a mid-19th Century Cuban sugar cane plantation that won several major film awards in Mexico. Catering almost exclusively to a then-ignored teenage market, American International Pictures (AIP), founded by Samuel Z. Arkoff and James H. Nicholson three years earlier as American Releasing Corporation before the name change, began to finally rise to prominence and would become perhaps the most important U.S. production house specializing in the distribution of low-budget independent exploitation films; a position they'd hold on to through the 70s. In 1957, AIP spit out schlock horror title after schlock horror title, with The Astounding She-Monster, Invasion of the Saucer Men, The Amazing Colossal Man, Teenage Frankenstein and The Saga of the Viking Women and the Sea Serpent just a handful of their releases. 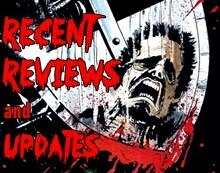 The two major standouts of the year for them though were Roger Corman's wonderfully unique The Undead and Gene Fowler Jr.'s very entertaining I Was a Teenage Werewolf. 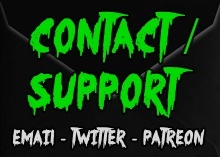 While the former got a little lost playing on double bills with the vastly inferior Voodoo Woman, the latter became an unexpectedly huge hit for the company; grossing 2 million dollars on just a 150 thousand dollar budget. Corman directed a grand total of nine films, making him one of the most prolific directors of the year. 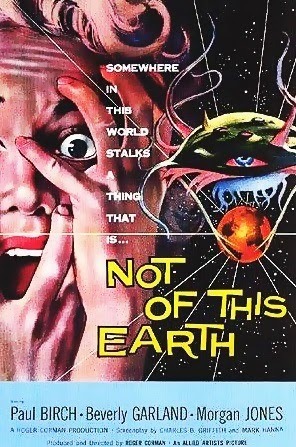 Allied Artists (who managed to surpass even AIP in output in 1957) handled the distribution of some of Corman's other movies, including the highly amusing Not of This Earth and the memorably-titled Attack of the Crab Monsters. Other Allied Artists acquisitions included Daughter of Dr. Jekyll, From Hell It Came, which involves a killer tree stump, and the Bowery Boys horror-comedy Spook Chasers, but there were a lot more where that came from. Even some of the majors, like Columbia Pictures, who had in their arsenal eventual Best Picture Oscar winner The Bridge on the River Kwai, also wasn't above tossing out Z-grade junk like The Giant Claw. They did however come through with one of the better films of the year: 20 Million Miles to Earth, which proved to be an excellent showcase for some wonderful Ray Harryhausen stop-motion effects. United Artists also handled a few interesting films; like the second Hammer Quatermass film (titled Enemy from Space here) and the fun monster movie The Monster That Challenged the World. Outside of America and the UK, there was plenty of other genre activity, though most of these films were never released here and remain next to impossible to find these days. In Argentina, there was La bestia humana ("The Human Beast"); an adaptation of Emile Zola's novel "La Bete Humaine." 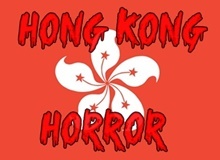 In Hong Kong, there was Xiang xi gan shi ji ("The Case of the Walking Corpses"). In Egypt, there was Saut min el madi ("Voice from the Past"), which was supposedly heavily influenced by those Val Lewton productions from the previous decade. In Singapore, there was Pontianak and its immediate follow-up Dendam Pontianak ("Revenge of Pontianak"), both of which are rumored to no longer exist. Aaravalli (which runs a whopping 210 minutes!) from India and Nije bilo uzalud ("It Was Not in Vain") from Yugoslavia both exist... but not in a way where English-speaking audiences are going to understand either of them. Hopefully that changes one day.